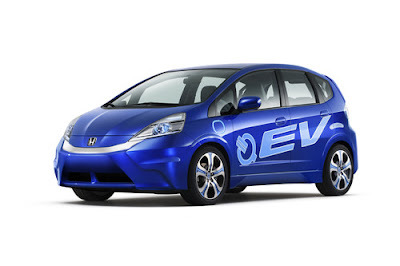 Honda will debut the 2013 Fit EV, at the Los Angeles Auto Show on November 16th at 1:05 pm PST. The Fit EV Concept electric vehicle was unveiled at the LA Show in 2010. The all electric zero-emissions Fit EV concept vehicle debuted at last year's Los Angeles Auto Show and the production model will be revealed this year.